Derrick Kosinski & Scott Yager are joined by Faith Stowers. Faith Stowers (@FaithStowers) made her way onto her rookie season of The Challenge this year by way of Vanderpump Rules and Ex on the Beach. She drops by Challenge Mania to tell Derrick (@DerrickMTV) and Scott (@SHOTOFYAGER) how she went from serving in the military to a career on Bravo and MTV. She tells us how one gets on Vanderpump Rules and whether any of those folks would cut it on The Challenge. She explains her relationship ... See More with Cara Maria and shares her experiences at red hot Final Reckoning Reunion. Plus, finally find out what it is that all of these women see in Kyle! All this and much more! For even MORE Challenge Mania, consider becoming a Patron. 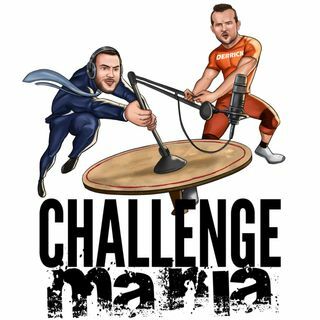 Over at www.Patreon.com/ChallengeMania we deliver bonus content and MORE podcasts each week that break down each episode of The Challenge. Poshmark is giving Maniacs $5 off their first order. Just use the referral code CHALLENGEMANIA when you download their app!